Eat these six foods to boost your skin’s natural sun protection. Like irate Christmas shoppers and awkward family get-togethers, sunburn is an unfortunate by-product of this time of year. While sunscreen, a hat and protective clothing is always the gold standard when it comes to preventing the sizzling of your skin, you can also help to increase your natural sun protection factor (SPF) by eating certain foods. According to Joyce Haddad, accredited practising dietitian, nutritionist and director of A Dietitian's Mission, it's important to include foods in the phytochemicals nutrient group in your diet, as they've been shown to protect against sun damage. "Antioxidants are a part of this group, which are known to block free radicals from causing damage in our bodies, including our skin cells. Antioxidants help to 'neutralise' free radicals, meaning when the sun damages our skin cells and oxidative stress (inflammation) develops, antioxidants are able to fight the damage," Ms Haddad says. So if you want to boost your skin's natural SPF this summer, add these six foods to your grocery list. Fish has lots of extra benefits. If you've spent a little too much time in the sun, fish is your first stop to promote healing in your skin thanks to its high omega-3 content. A 2013 study by researchers at the University of Manchester found that regularly consuming fish oil could boost skin immunity to sunlight. "This nutrient helps to maintain our skin's integrity and reduces inflammation. 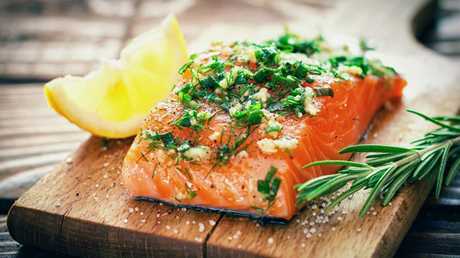 After spending a little too much time in the sun, omega-3s help our body naturally cope and heal," Ms Haddad says. "Zinc is also a superstar mineral found in fish that promotes skin healing." Turns out your mum was right. 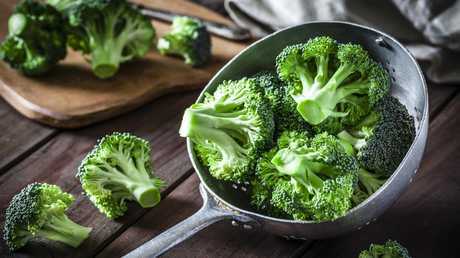 Yes, turns out humble old broccoli, a member of the antioxidant-rich cruciferous family, is a bit of a hero when it comes to protecting your body's biggest organ. 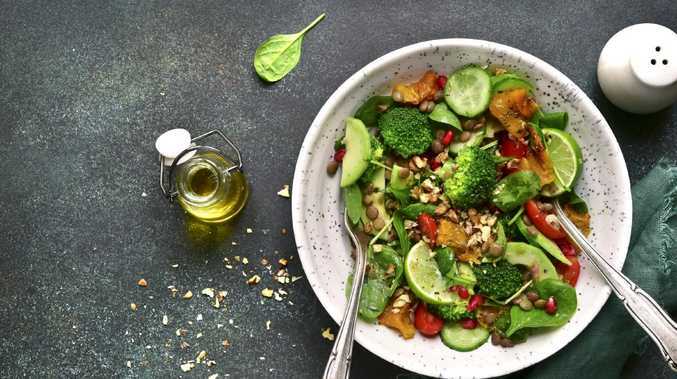 "Cruciferous vegetables are great sources of sulforaphane, zinc, vitamin A and vitamin C and broccoli contains lutein, a carotenoid that protects your skin from oxidative damage, and reduces the risk of your skin becoming dry and wrinkled," Ms Haddad says. Turns out there’s more to tomatoes than just being delicious. Next time you make a salad, throw in a tomato or two. Not only are they delicious, they're proven to boost your protection from the sun's harmful rays. "Tomatoes are a great food for skin health thanks to their high levels of lycopene - an antioxidant known to protect against oxidative damage," Ms Haddad says. "Studies have previously found that those who eat a tomato-rich diet have more protection against UV exposure than those who skip eating the fruit." 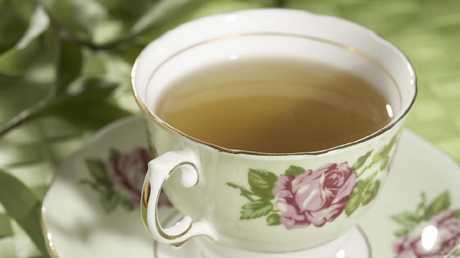 Next time you boil the kettle, consider switching your mug of English breakfast for a green tea. It may not be your regular brew, but it's brilliant if you're spending a lot of time at the beach due to its skin protective powers. A 2004 study published in the Journal of Investigative Dermatology found that the polyphenols found in green tea had the ability to reduce skin damage from UVA rays (the rays responsible for ageing). The antioxidant-rich drink can also maintain collagen in the skin which is why you'll see green tea extract listed as an ingredient in a plethora of skincare products. Watermelon is the perfect, post-beach snack. Not a fan of tomatoes? Watermelon contains even higher lycopene levels than their red friends. 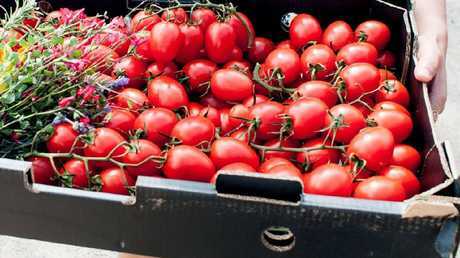 "Lycopene has been shown to absorb UV radiation. 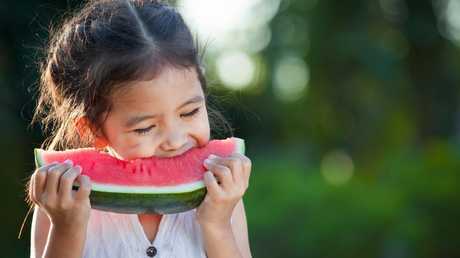 But studies suggest that we need around 10 weeks of daily watermelon consumption before lycopene can act as a natural protector," Ms Haddad says. Yellow and orange foods like carrots? They're high in betacarotene, that, after time spent in the sun, can inhibit our body's inflammatory response. 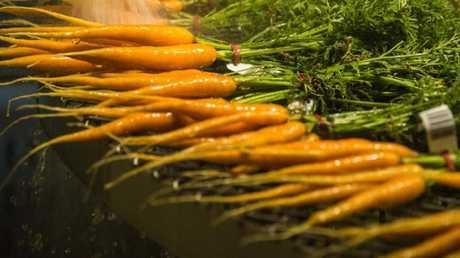 "The wonderful betacarotene found in red and orange fruits and vegetables, which our body converts to vitamin A, helps support healthy skin and can shield us from sunburn. But like watermelon, these foods need to be consumed daily for a minimum of 10 weeks before becoming effective," Ms Haddad says. As powerful as these foods can be, never forget sunscreen. Yes, it'd be lovely if all protecting our skin from the sun entailed was scoffing down watermelon, but it's not the case. "The evidence is clear that there is no better protection against developing skin cancer than limiting your exposure to UV light. While a healthy diet can improve your skin health, sunscreen application will give your skin the best chance to stay healthy."